Don't let her beautiful looks fool you, this damsel is as dangerous as they come. While you think this is a loving and innocent kiss, this is actually the kiss of death from The Joker's right hand lady. She is definitely one to keep your eyes on! 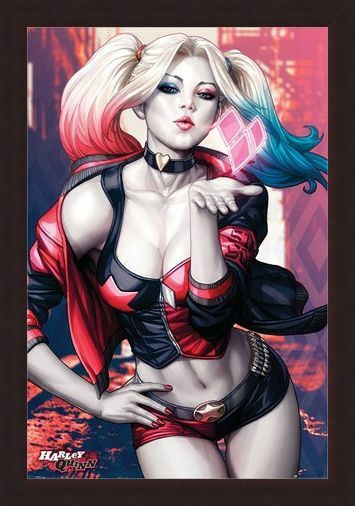 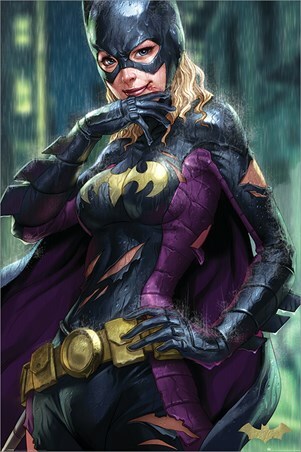 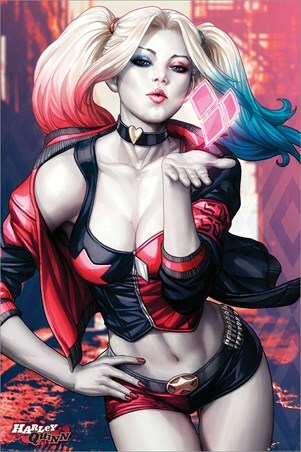 This awesome poster feature DC Comics' villainous vixen Harley Quinn; as she appears in the amazing Batman comic books. High quality, framed Harley Quinn Kiss, Batman poster with a bespoke frame by our custom framing service.